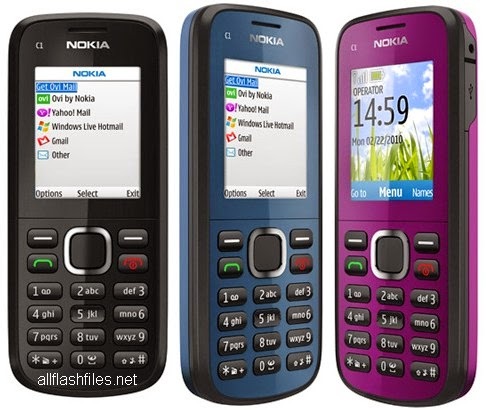 Nokia developers have released latest flash files of Nokia C1-02 and have put free downloading links for mobile users or flashers on its official server. They always provide free apps, games or flash files for people. Flash files are always used for do software or update mobile old firmware. Some times your mobile working so slow or completely break you will need to flash your phone with its latest flash files. During using your mobile working slow you can resolve those problem with online updating of its firmware if you phone can support for online updating. Your mobile's firmware contains on three main parts like mcu, ppm and cnt so in that three files your mobile's all data installs. You can use different tools or boxes for flashing. There are many flashing boxes or tools which you can use for flashing your mobiles or other devices. Flashing tools lets you to flash your mobiles through usb data cable without flashing box. With flashing tools you can flash all those mobiles which can support for usb data cable. You can download latest flash files of your mobile from below downloading links. If you are facing difficulty during downloading or flashing contact us through commenting we will help you if possible for us. If you ready to flashing your phone please don't forget to take a backup of your phone because after flashing you will lose your all data and your mobile will restored in its original settings. You can recover your backup to your phone after successful flashing.